Rwanda - Telecoms, Mobile and Broadband - Statistics and Analyses | Market Research Reports® Inc.
Rwanda - Telecoms, Mobile and Broadband - Statistics and Analyses report is published on April 23, 2018 and has 54 pages in it. 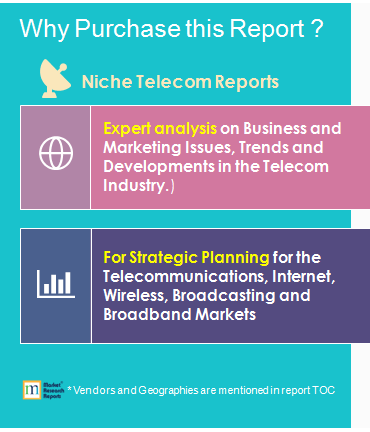 This market research report provides information about Telecom, Broadband, Country Overview (Telecom), Handsets & Devices industry. It covers Rwanda regional market data and forecasts. It is priced starting at USD 750.00 for Single User License (PDF) which allows one person to use this report. MTN to invest $20 million in network upgrades; Millicom sells its Tigo Rwanda unit to Airtel, with the Tigo brand to be phased out; government commits to investing in smart city infrastructure; MTN Rwanda fined for moving IT services abroad; Liquid Telecom expands FttP network; fleet of buses equipped with LTE routers to provide mobile broadband for passengers; regulator calls for interested parties to manage Mobile Number Portability facility; MNOs implement One Network Area scheme removing roaming charges; Smart Africa Alliance Initiative to raise $300 billion by 2020 for regional ICT infrastructure; KTRN expands wholesale LTE services; report update includes the regulator’s market data to February 2018, telcos’ operating data to Q4 2017, Telecom Maturity Index tables, charts and analyses, recent market developments.